Kohlmeyer Hagen, Law Office’s Family Law Division provides exceptional representation based on a commitment to solve problems for our clients. Whether you are dealing with family law, Divorce or Custody, Paternity or child support issues, our divorce lawyer can help. The chair of the Family Law Division, Jason has been practicing law for over 16 years. 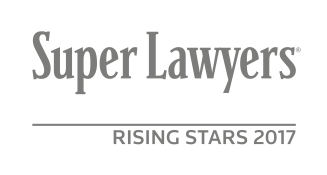 He’s been identified as a top 100 attorneys as well as a SuperLawyer, highlighting no more than 5% of Minnesota Attorneys from 2013 – present and Rising Star recognizing 2.5% of Minnesota Attorneys under 40 from 2003-2012. Besides being acknowledged as a leader in the Family Law legal community, Jason brings a unique perspective to his family law practice: He tries to help his clients resolve their family law problems in a low-conflict, quick, efficient manner. Jason has handled cases that have been on the front page of the Star Tribune as well as countless “normal” divorces and he approaches each of one of them with the same dedication.